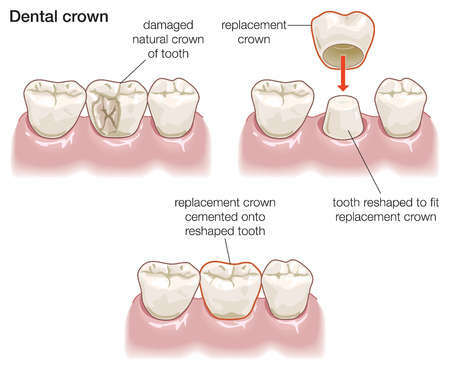 A dental crown (cap) is a tooth-shaped cover that is permanently placed over a damaged tooth to cover the entire visible tooth to restore its shape, size, strength, and improve it's appearance. A crown can help strengthen a tooth with a large filling when there isn’t enough tooth remaining to hold the filling. Crowns can also be used to attach bridges, protect a weak tooth from breaking, or restore one that’s already broken. A crown is a good way to cover teeth that are discolored or badly shaped. It’s also used to cover a dental implant. A dental bridge covers the gap created by one or more missing teeth. A bridge is made up of two or more crowns on either side of the missing tooth/teeth. For children, a pediatric crown may be recommended to be used on primary (baby) teeth. The process of installing a crown usually will take two visits. 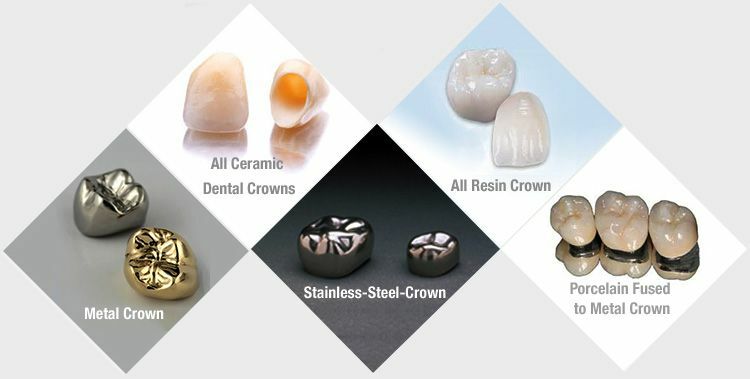 Permanent crowns can be made from many different types of material.